Home sales in Hong Kong rebounded 21.6% month on month in June and prices continued to rise despite more cooling measures being introduced by the Government, the latest monthly research report points out. Sales of new properties rose in particular in Solaria in Tai Po, Mount Regency in Tuen Mun and The Mount Pavilia in Sai Kung while secondary sales remained stable overall, says the report from international real estate firm Knight Frank. According to official data, residential prices have grown for 26 consecutive months, the longest period of price rises in Hong Kong history, rising 25% from the previous peak in September 2015. The leasing market also saw robust activity in May and June, boosted by families aiming to settle into new homes before the next school year starts. Meanwhile, demand from expats, mainly from those working in the finance and insurance sectors, remained stable. Luxury residential rents grew 4.7% in June compared with a year ago. One reason for prices continuing to rise is a shortage of homes for sale and Hong Kong’s chief executive has announced a series of new measures, including the introduction of a vacancy tax for primary flats and the change of nine private residential lots to affordable housing uses. With the possibility of developers’ marking up prices in order to shift the vacancy tax burden to buyers, prices of primary flats may be further pushed up, the Knight Frank report points out. The conversion of private lots to affordable housing uses could also reduce private home supply in the coming three to four years, reinforcing the uptrend of private home prices. ‘With the new housing measures in place, we expect residential prices to increase steadily during the second half of the year. Secondary home sales volume may be somewhat sluggish in the short term, with more potential buyers shifting to the primary market,’ the report adds. 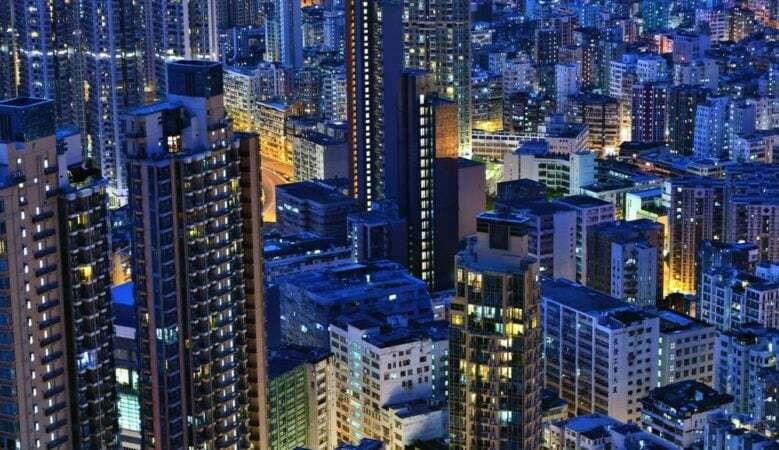 Meanwhile, in the commercial property market Hong Kong Island Grade-A office leasing demand remained strong in June. With the vacancy rate hovering at a low level of around 0.9%, rents in Central continued their uptrend, rising 0.7% month on month. The report explains that most of the offices currently available in Central are scattered pocket units. To build up tenancy profile, landlords are selective regarding tenant’s background and ask for security deposit of an amount equivalent to rental income of nine to 12 months. Some preleases for next year have received multiple offers, indicating that tenants are willing to commit to future lease way before the expiry of existing lease, it also points out. In Kowloon limited space available and persistent demand means that Grade-A office rents in Tsim Sha Tsui increased 6% in the first half of 2018. Demand has increased from co-working space providers looking for large units. However, the report says that the office leasing market will become quiet between now and September during the summer holidays while there will be more relocations from Hong Kong Island to Kowloon as tenants look to reduce costs and look for larger floor areas.